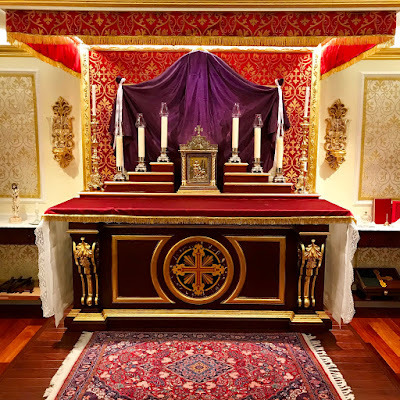 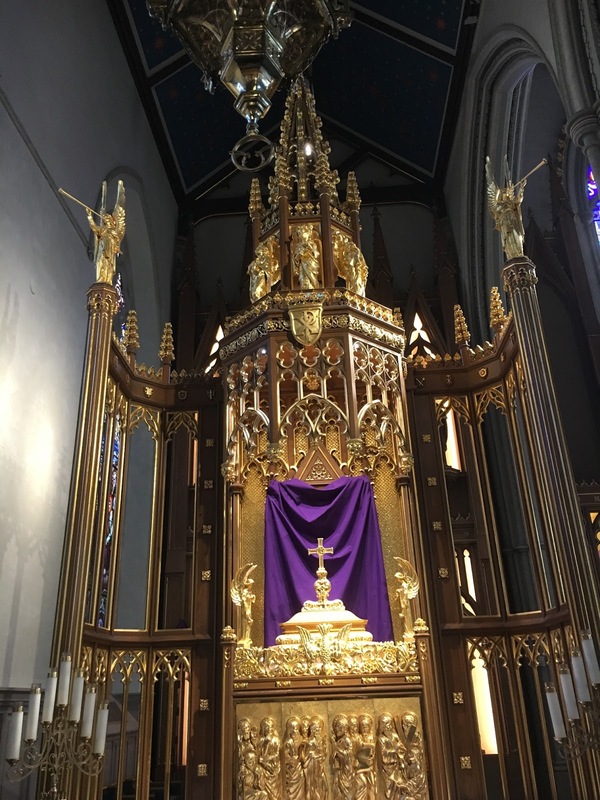 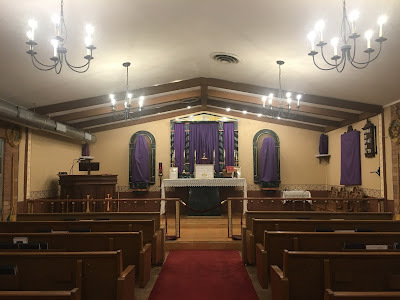 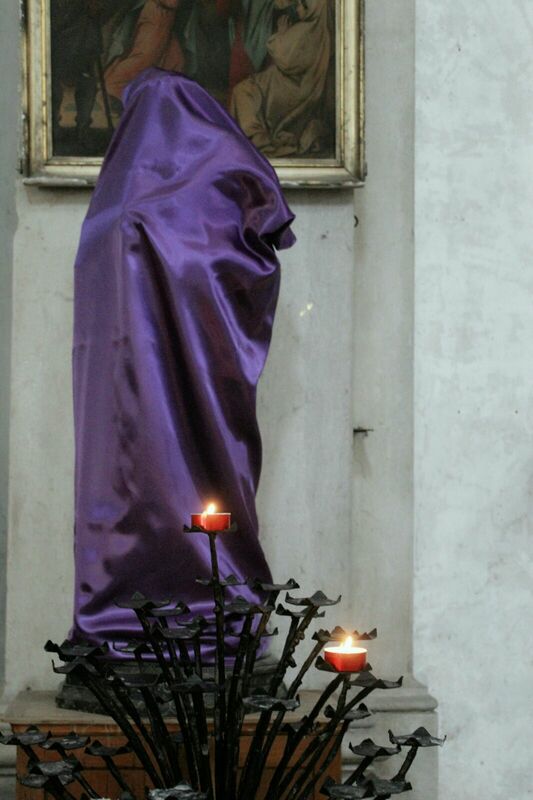 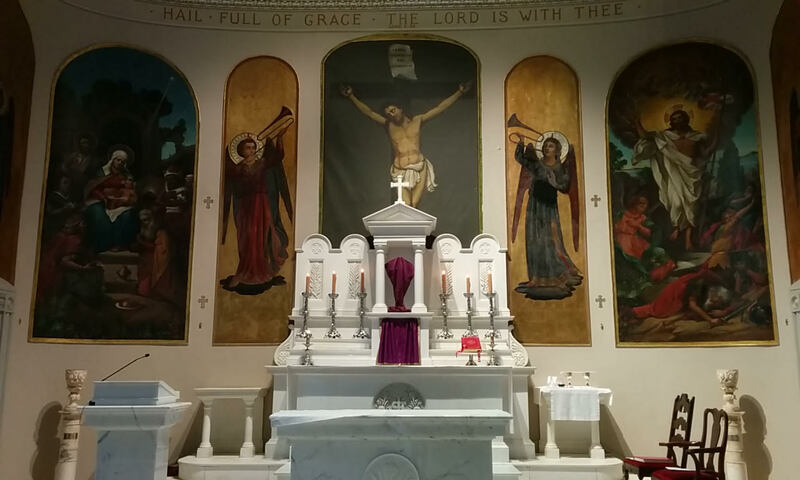 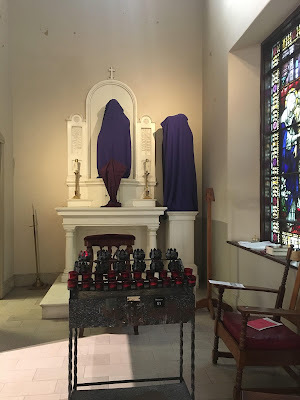 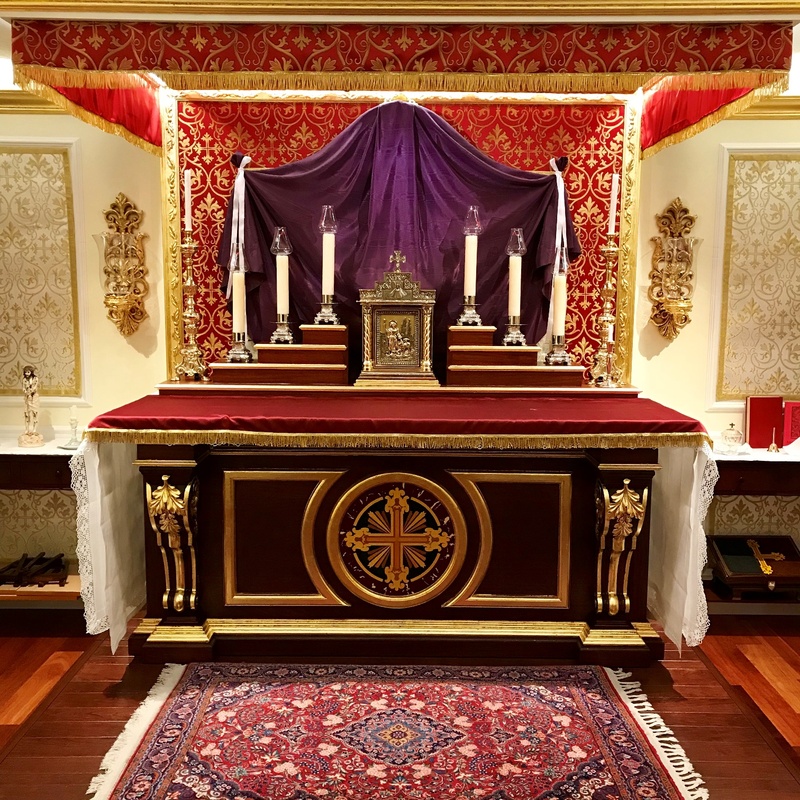 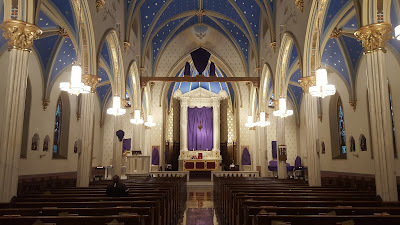 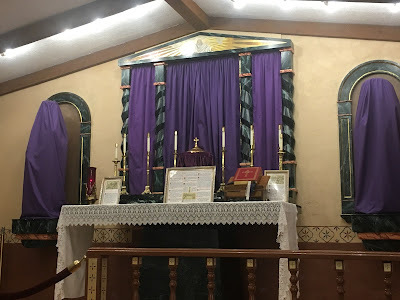 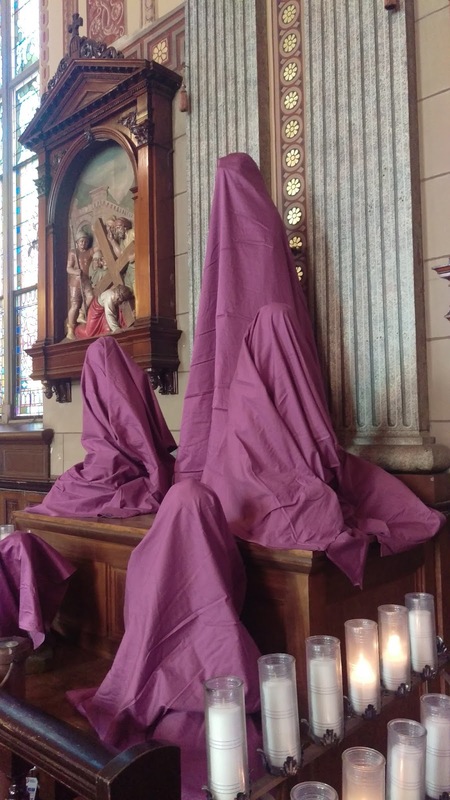 As was the case last year, the response to our request for pictures of your churches with veils for Passiontide was tremendous; we will therefore have at least two more posts of them, possibly three, just out of those received in the last four days. 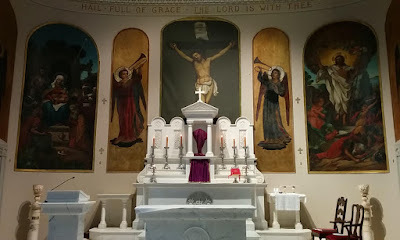 For this we are very grateful indeed! 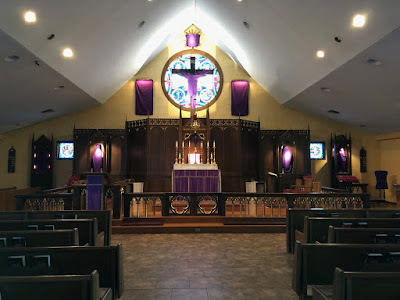 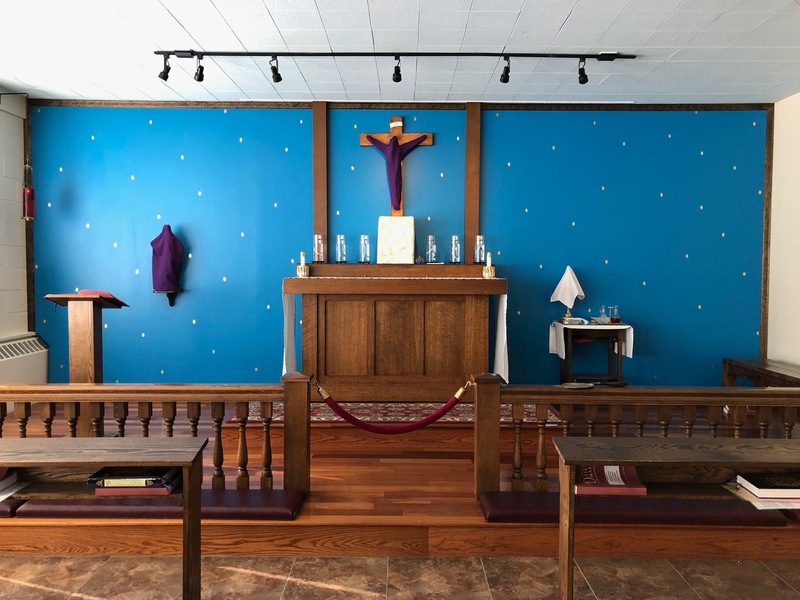 If you have photos you would like to contribute, we will still very glad to receive them; please send them to photopost@newliturgicalmovement.org, and remember to include the name and location of the church. 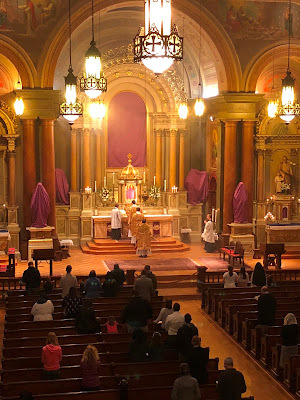 And once again, we should all take encouragement in seeing this beautiful Catholic tradition gaining more and more ground each year - evangelize through beauty! 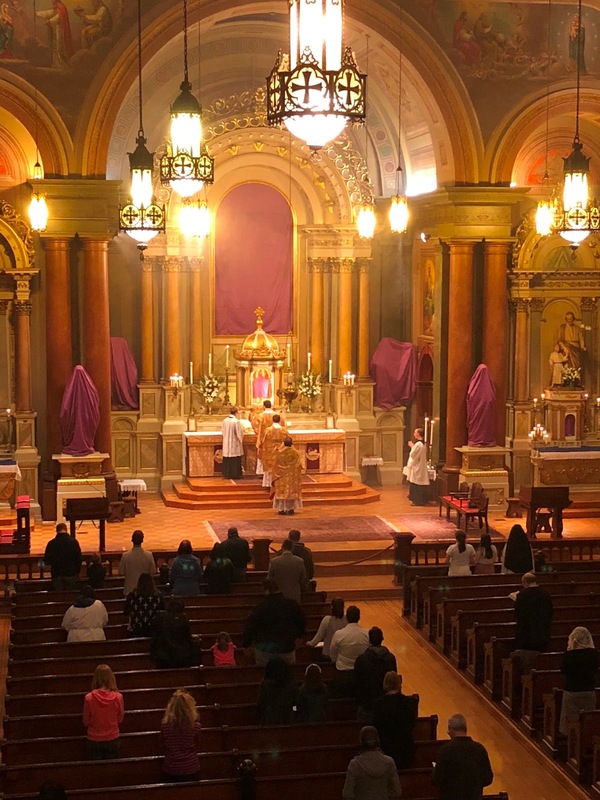 On the feast of St Joseph, the Cincinnati Oratory celebrated the first year since its canonical establishment; our congratulations to the community! 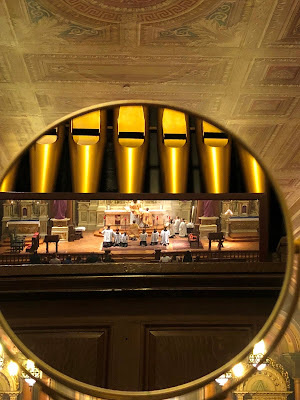 Below we see two photos of solemn Mass on the feast, one of them being a very clever shot of the Elevation seen in the organist’s mirror. 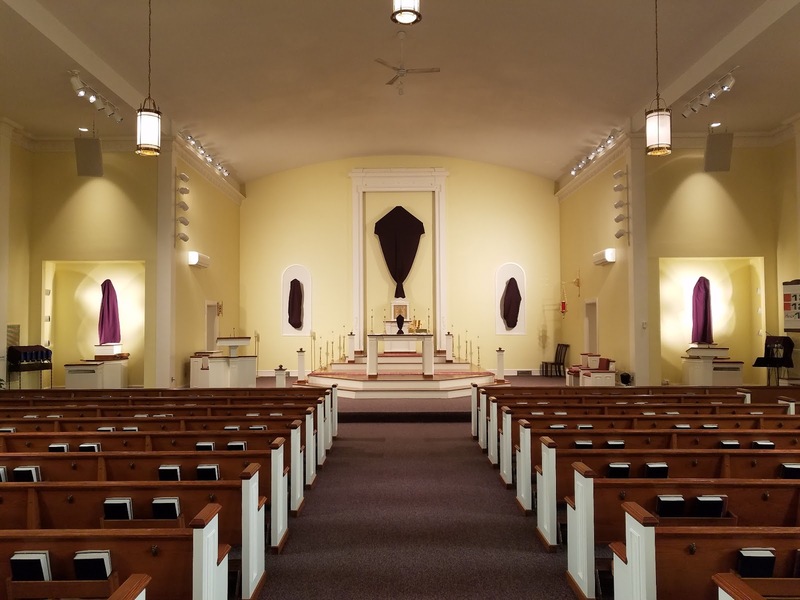 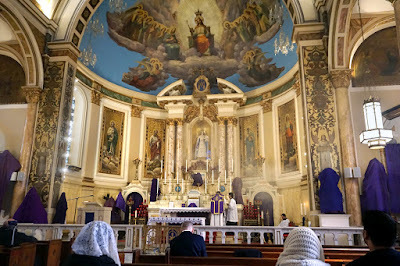 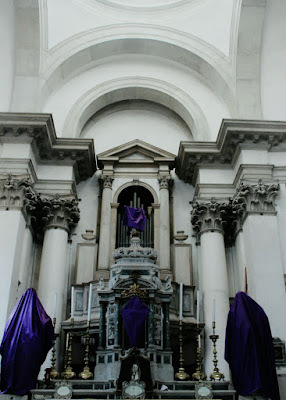 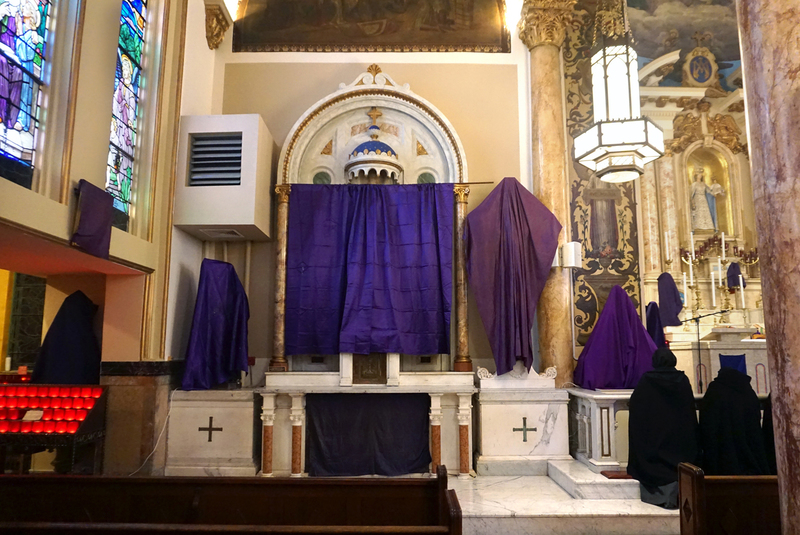 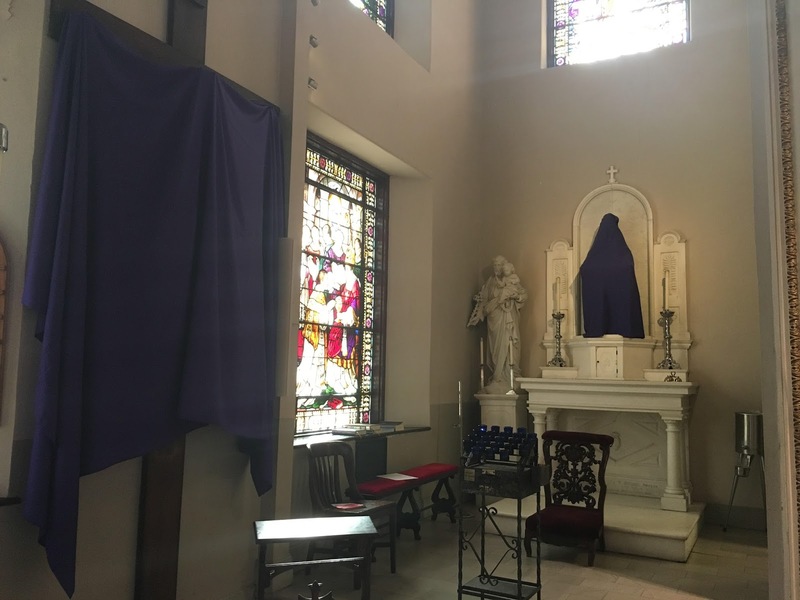 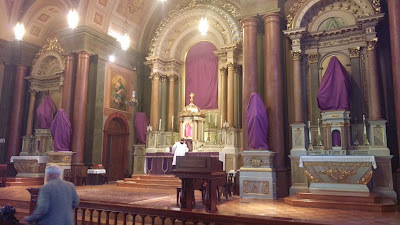 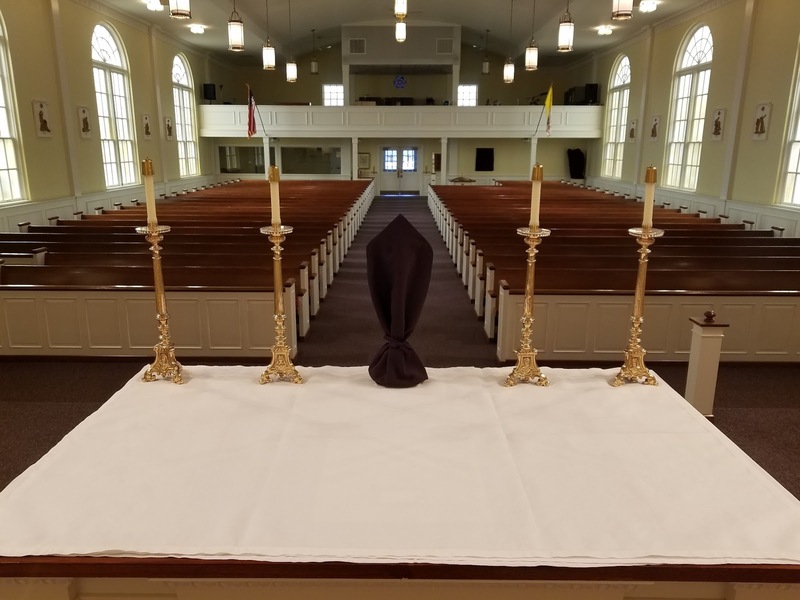 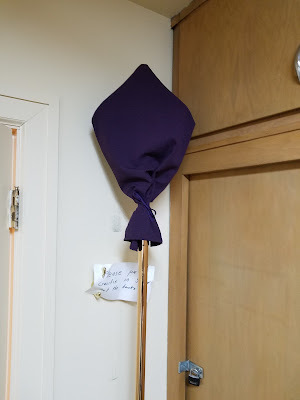 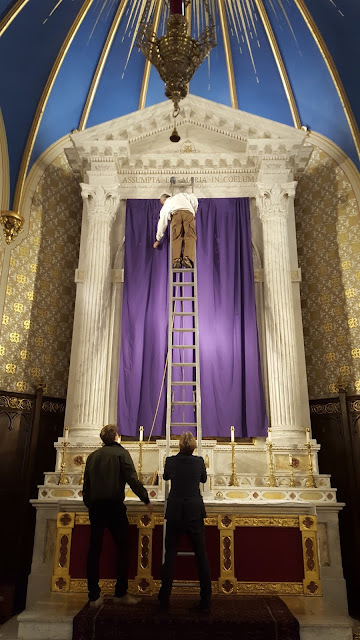 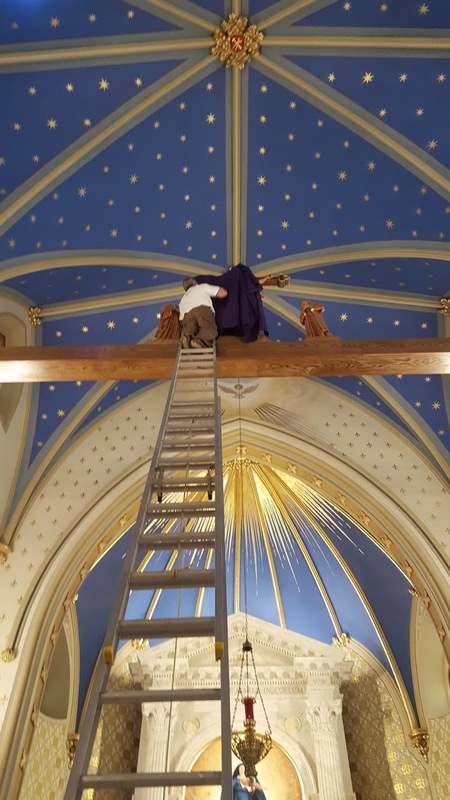 Every year, we have a few churches that have reintroduced the veiling at Passiontide, sometimes after a lapse of decades. 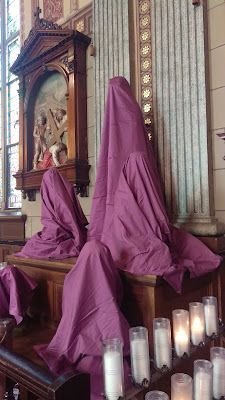 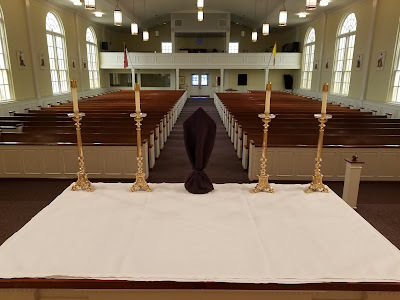 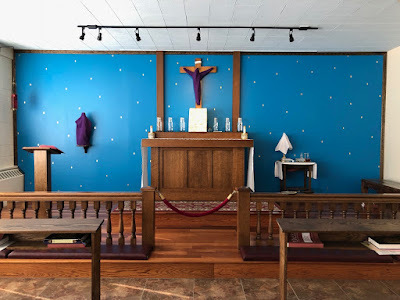 The pastor of this church writes to say that although they kept up the tradition of veiling statues over the years, this is the first time in as long as anyone can remember that they have also veiled the crosses; a parishioner sewed new veils for the large sanctuary crucifix, altar cross, and even the processional cross. This will definitely be in next year’s photopost request! 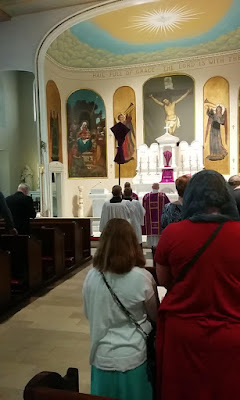 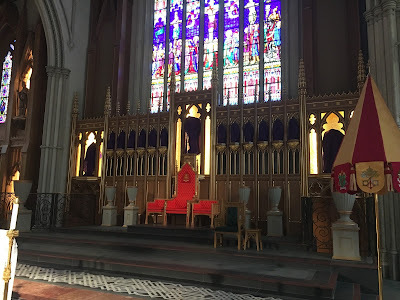 Part of the Personal Ordinariate of the Chair of St Peter, the community worships at St Mary of the Annunciation Catholic Church in downtown Charleston.